We have had more encouraging testimonies about Handbook to Happiness this past month. Jenny H. called us to order more books to give to people she has been sharing with. She told us about her “Silver Sneakers” exercise class in Washington. Her instructor had confided in the class that she had been estranged from her father for years. To make matters worse, he had a terminal illness, was in hospice care, yet they still were not on speaking terms. Jenny asked the instructor if she would read a book that could be of help to her. At first she was reluctant to accept it, then she was given a copy of Handbook. Weeks later Jenny’s class had a get together where the instructor informed the group about developments in her life. She testified that Jenny had given her a book that had changed her life! She had such a spiritual breakthrough that she was able to reconcile with her father. Not long before he died they spent an unforgettable day together, crying, sharing, and making things right. After his passing, the instructor wanted to get more copies of Handbook to share her new-found peace and joy with others! Praise the Lord. Let’s give thanks for how God uses His Word and the GFI literature to lead people to know Jesus as Savior, Lord, and Life. 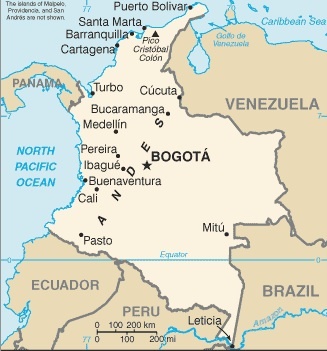 We have a major mission coming up the last week of June and the first week of July in Bogota, Colombia sponsored by Cenfol ministries (http://www.cenfol.org/). Due to its size and strategic nature, we covet your prayer for the next 4 months. They are planning for 500 the first week and 300-500 pastors for training the second week! They have a presence in 15 countries, including a church in Madrid, Spain. They want 1000 each of 4 of my books which I will have printed there, with translation now completed. Both John and I will be going since I will be 83, and John will carry most of the responsibility. Also, we are bringing a missionary from Peru who has had our training to assist us with speaking and translation. Dr. Dan Riley, pastor of Calvary Baptist Church in Knoxville and board member, will be going, as well as a business man from Texas, who will make a presentation and also take his book into the male prisons. [He is the author of How to Be a Child of God.]. My translator from Spain may be coming as well. Since all of Latin America could be affected, we are expecting major Satanic opposition, so both offensive and defensive prayer will be much needed! We have been asking our Lord to open up the Church to the teaching of the cross [Galatians 2:20]; He has answered and begun with Latin America!! Since I will be into my 84th year, I need prayer for physical as well as spiritual, strength. It will be a blessing to know that our friends are praying before, during and after this major ministry outreach!